Summer is a time for kids to make a splash in their kids pool. Now more fun can be added to it by replacing old simple kiddie pool with a new colorful pool having a play center and water sprayer in it. 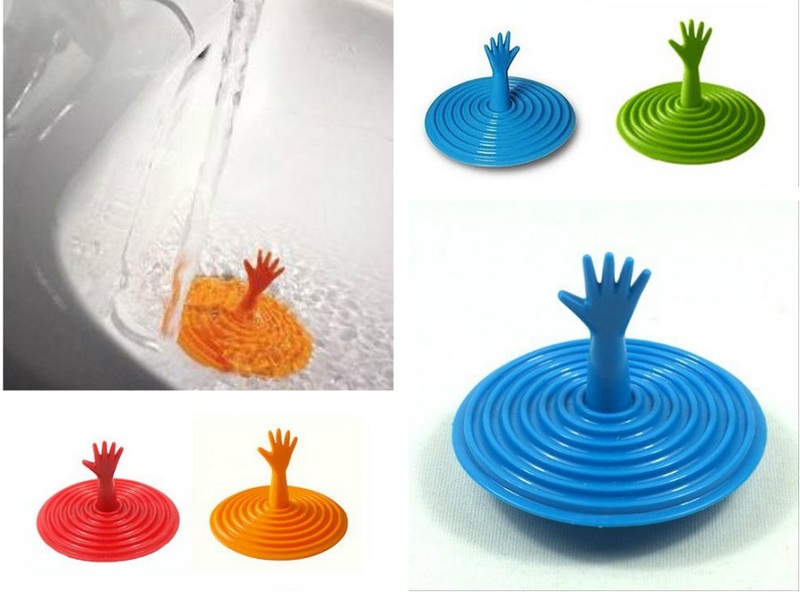 These kids pool contain water slide, wading pool, water sprayer, ring toss game etc. 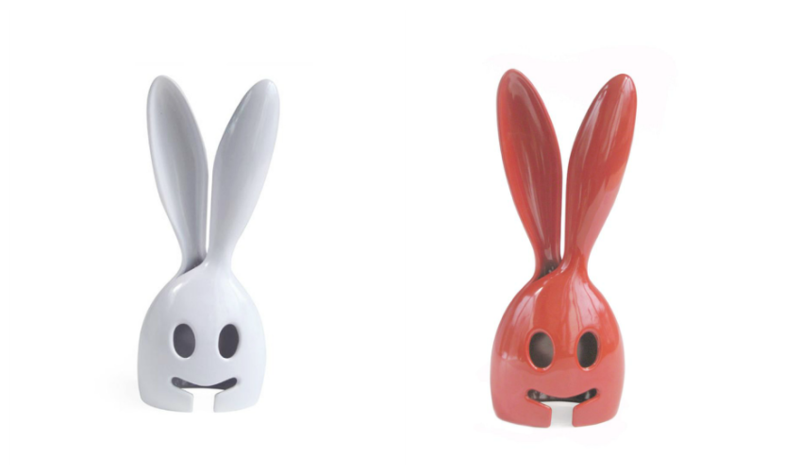 Water sprayer attaches to garden hose will keep kids cool in summers. 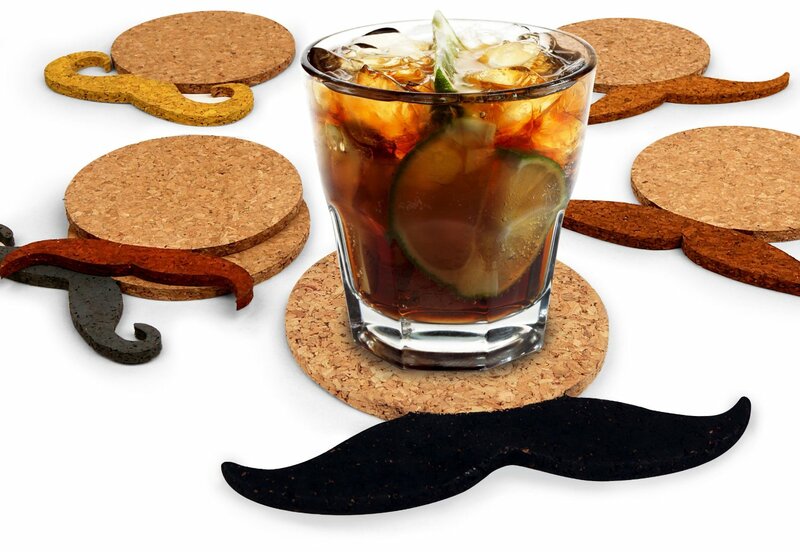 It can be a great fun on weekend for the whole family. 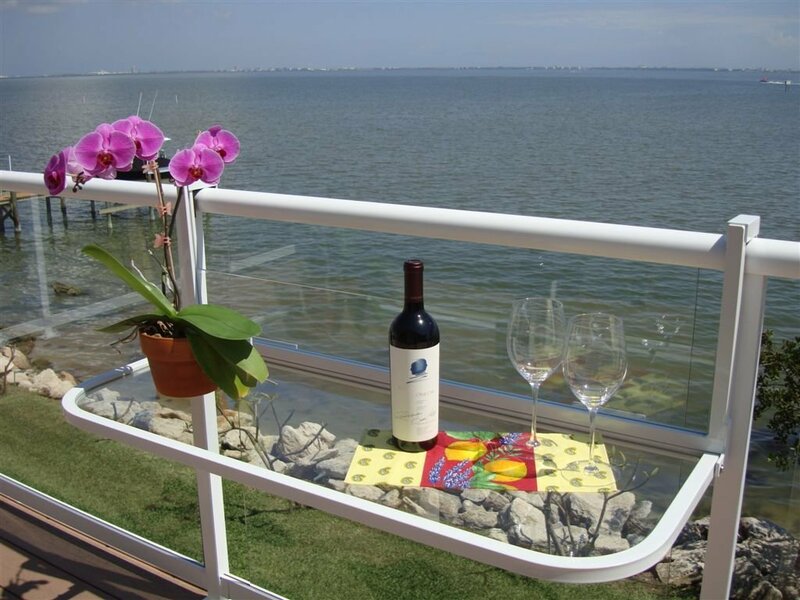 Here, we have some best kiddie pools designs available at Amazon. 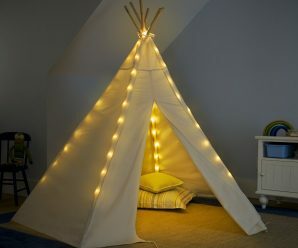 You can buy one for your kids and can surprise them this summer! 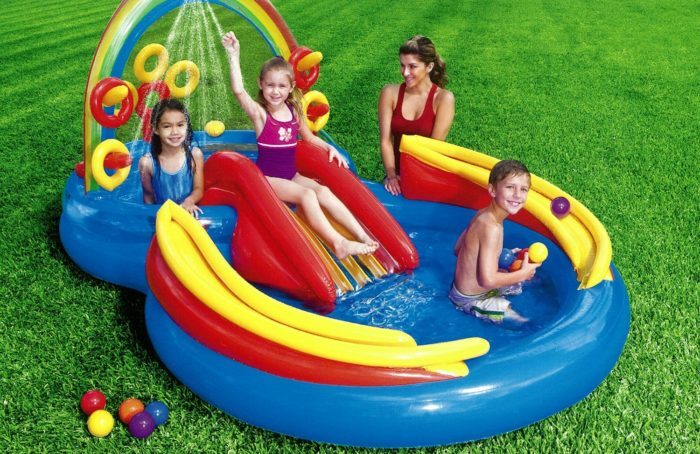 Rainbow Ring Inflatable Play Center: Rainbow Ring Inflatable Play Center is a great pool for kids. It has several activities such as the ball ramps, the slide and the rings that seem like they might be fun for a younger child. 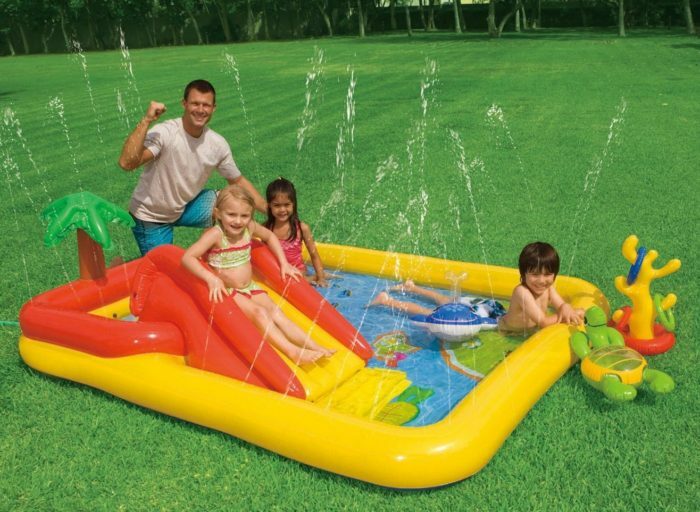 Ocean Inflatable Play Center: Ocean Inflatable Play Center is a best kiddie pool. The pool has a large surface area for playing and the slide is a great extra bonus. 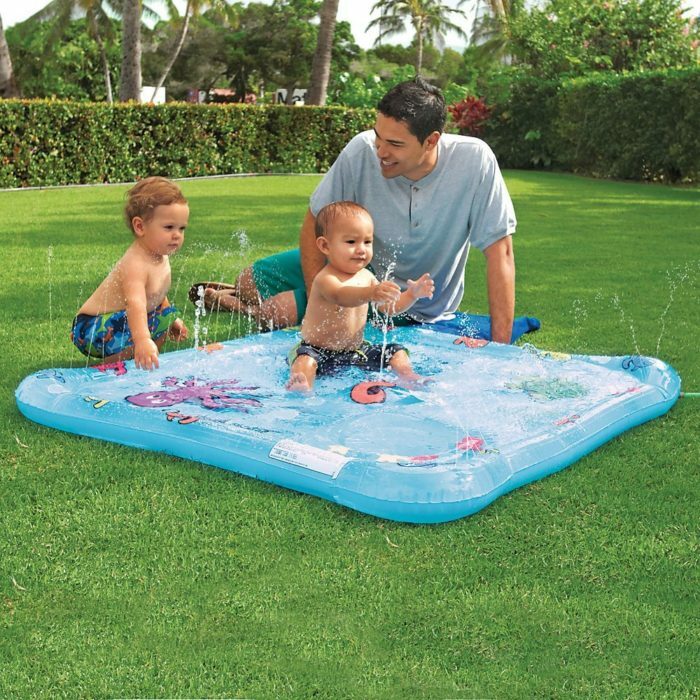 Squirt Baby Wading Pool: Babies love cooling off in Squirt Baby Wading Pool, with extra-soft sprayers to splash in and explore. As baby becomes more comfortable in the water, you can make the “fountains” higher. 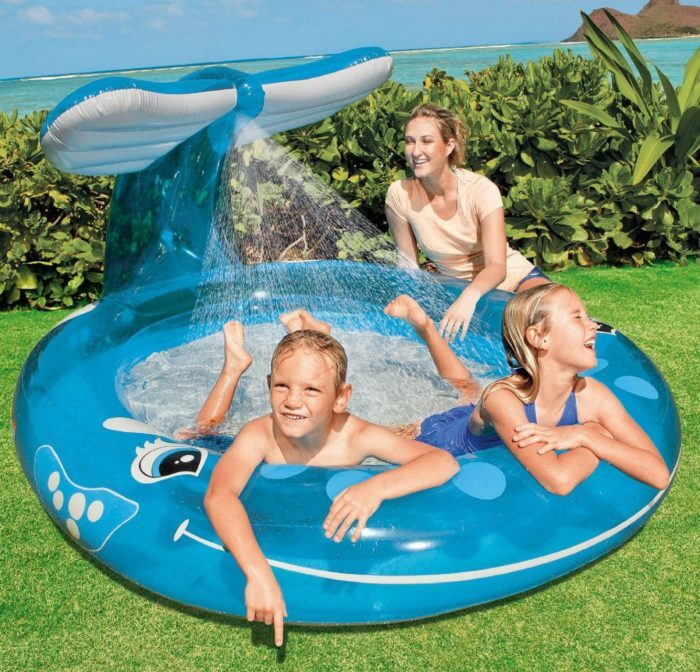 Whale Spray Pool: is a very nice and large baby pool. The pool is easy to blow up and take down. Its tail sprayer works great. 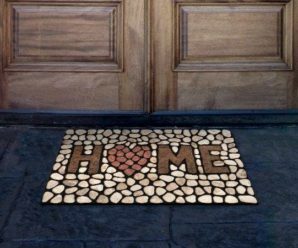 This takes a good amount of water, and has even been overfilled and still keeps its shape. 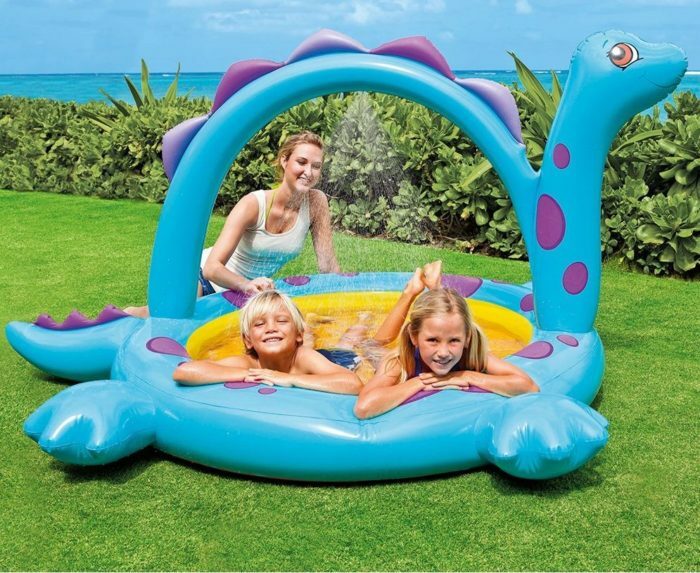 Dino Spray Pool: Dino Spray Pool pool is sure to keep the kids cool, with a built-in Dino arch water sprayer that attaches to a garden hose for tons of enjoyment. 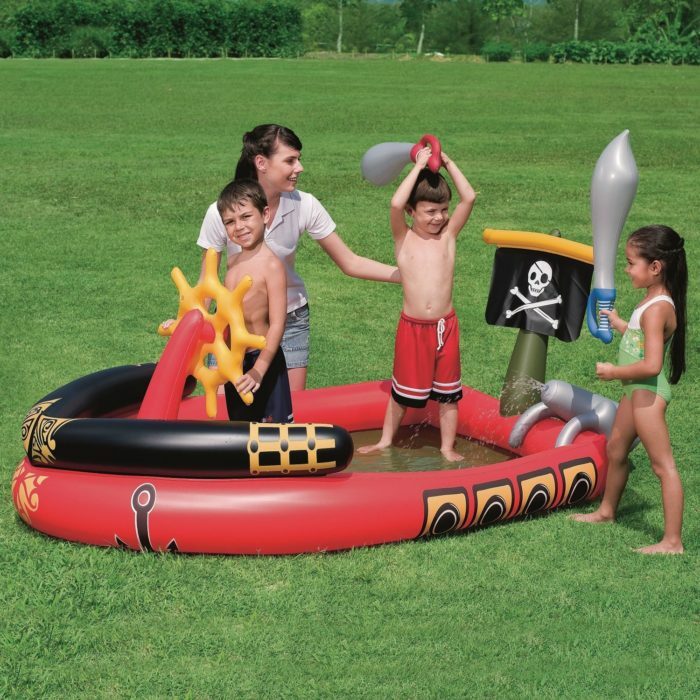 Pirate Play Pool: Pirate fun with the Bestway Pirate Play Pool! Kids can cool off using the hose connected spray cannon, pretend to steer the vessel through jagged rocky coves or dual it out in the main pool with the inflatable cutlasses. 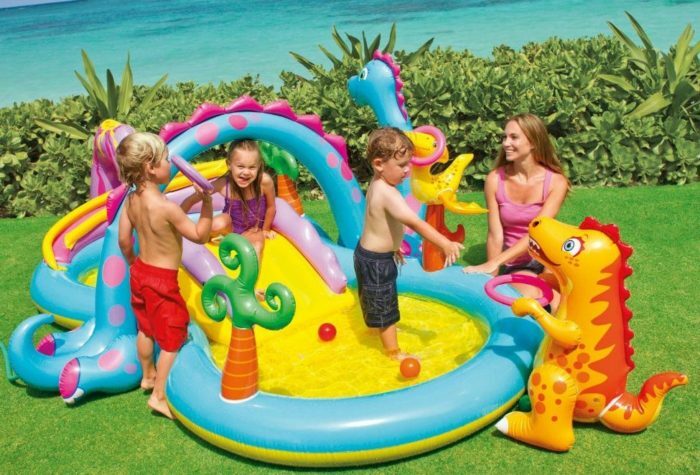 Dinoland Inflatable Play Center: Dino Arch water spray attaches to garden hose. Slide and splash into the wading pool. Jurassic fun with Dino Hoops and volcanic Ball Roller games. Landing mat for extra padding. Drain plug in pool floor.